Where it's not too far for a far better deal! Congratulations to our friend and customer Tatum Rice and Crey Zee on winning the 2018 NCHA Futurity! We could not be happier for Tatum, his family, and the Knights. We are excited to now be carrying Swift-Built Trailers! Follow the link to read more about these great trailers. 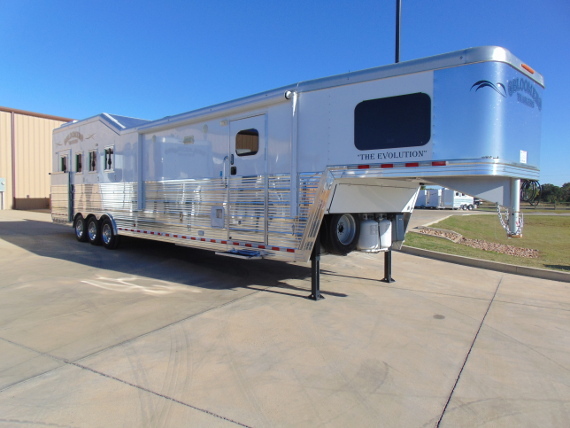 We have lowered the prices on 2017 NEW living quarters horse trailers! Click to see more information! Welcome to Cowboy Trailer Sales! We are a family owned and operated trailer dealership located in Crockett, TX. We carry Platinum, Merhow, Galyean, CM, Swift-Built and Tiger trailers. 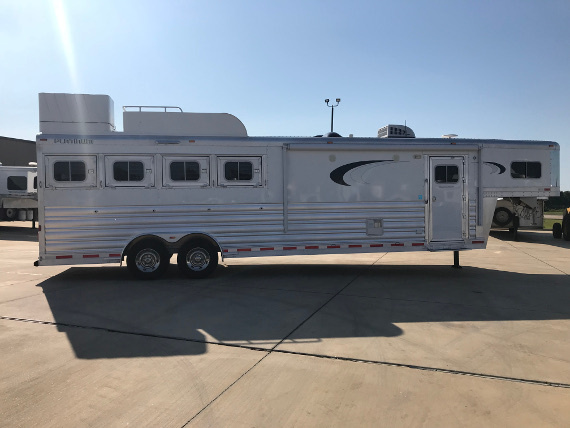 We have a large selection of new and used trailer inventory ranging from small utility trailers, all the way up to large living quarters horse trailers. 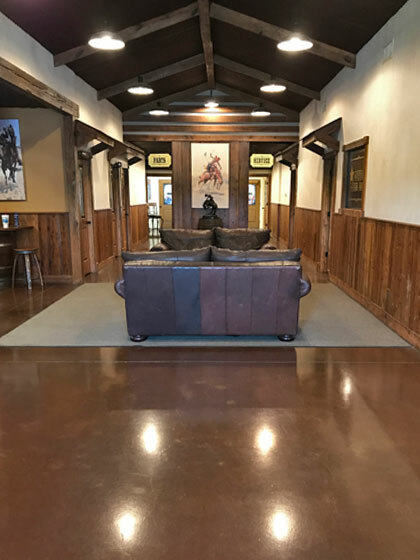 Cowboy Trailer Sales has a full-service RV and trailer repair shop and a fully stocked inventory department. Thank you for visiting our website! Contact us if there is any way we can help you!